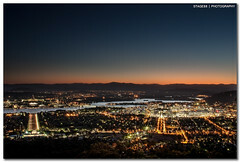 Big Thank You to everyone who comments on my photos, especially to everyone that commented on the last one! We all know how much that little comment means to us, so I just wanted everyone to know that I appreciate your time and will come to visit your streams. I managed to move all my data from the old to the new hard drive(s) in about 5-6 hours, so now I'm all set up and ready to go with another 1TB! 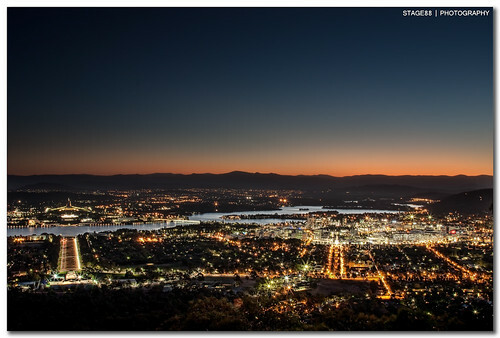 This is the view of Canberra at night from the top of Mount Ainslie!